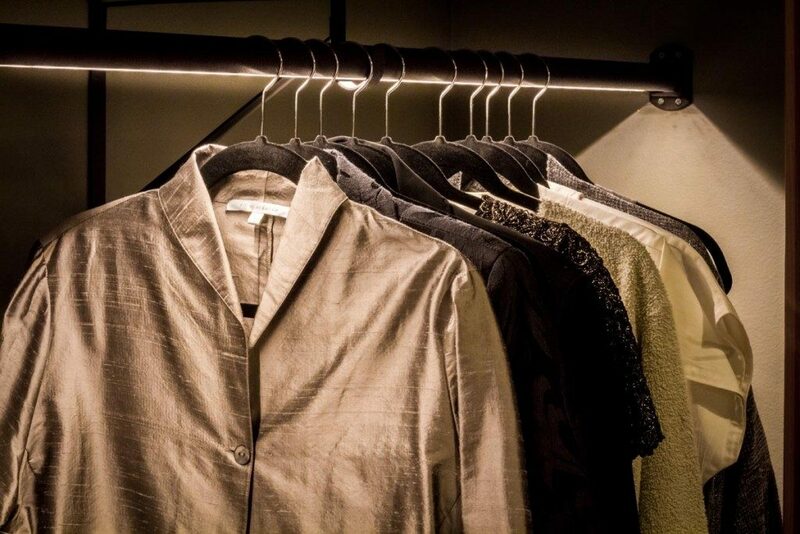 Closets are taking a decidedly brighter turn with the growing trend of built-in LED lighting. 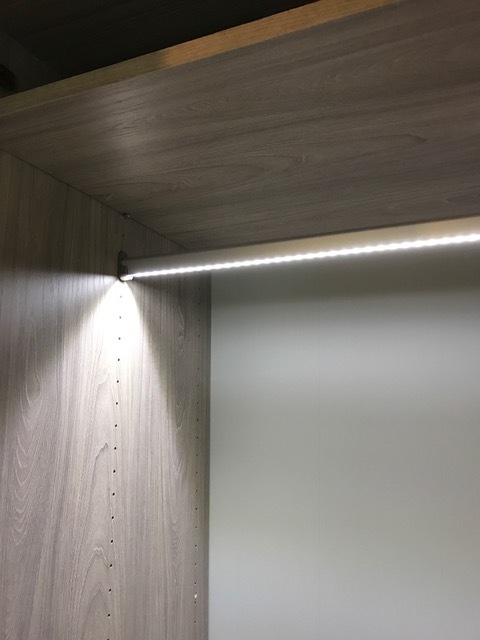 Going beyond the standard overhead lighting, these new LED closet lighting options, including the illuminated closet rods and accent LED light strips featured below, illuminate closet contents while also adding an up-scale boutique look to the space. Energy efficient and long lasting, LED lights translate to cost savings for homeowners. LED lights produce no heat and are UV-free meaning they won’t fade closet contents. Bringing light into the darkest areas of your closet, LED lighting makes it easier to distinguish colors and clothing items. Beyond all the practical reasons, LED lighting adds an element of upscale design and visual impact to your space. Closet systems are not the only area where LED lighting can have added benefits. Intelligently incorporated into a home office storage, kitchen pantry storage or a entry room storage, LED lighting enhances the design and the functionality of any space. Want to learn more about LED lighting options? Schedule a free in-home consultation today with Closets For Life. We’ll come to your home to measure your space and discuss your needs and ideas. Within two days, you’ll have a free design and price quote. With the design finalized, all pieces are custom designed and generally installed within two weeks. 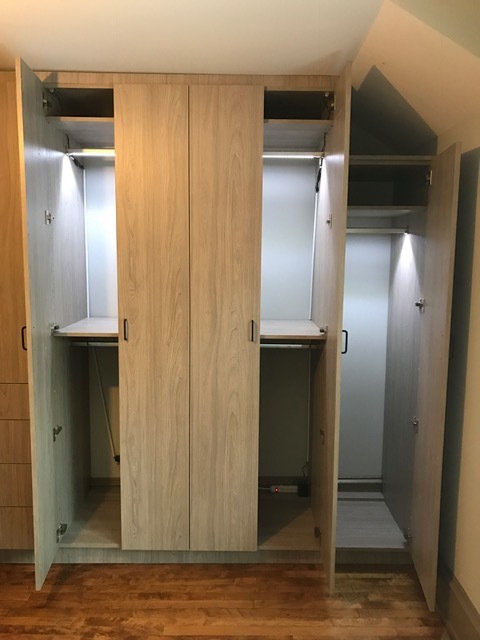 Let us help you create a beautiful closet space to be enjoyed for years to come!